Alan Chow has been the board director and artistic director of the Chinese American Arts Council since 1975 when he was founded. 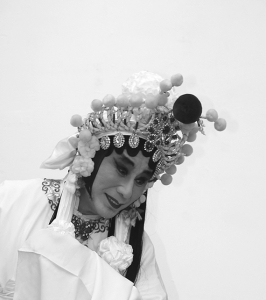 He has consistently furthered the understanding, appreciation and preservation of traditional Chinese performing arts as well as new forms involving contemporary influences. He started his professional training in traditional Chinese theater at the age of seven in Taiwan. He also studied Chinese folk dance while he majored in theater. On coming to New York in early 70's, he established his own dance studio, teaching Chinese theatrical movements and dances. He has appeared solo at universities, museums, festivals, not only in New York City but in other cities all the country and the world, such as Los Angeles, Chicago, Scotland, Brazil. He was a regular guest on Channel 2, 5, 7 & 9 TV giving lecture/demonstrations on Chinese theater and performing Chinese theatrical, traditional and folk dances, and starred in a CBS prime time production of "Return of the Phoenix." In 1977 he directed and performed in a program of Chinese dances in the National Christmas Pageant of Peace at the White House, Washington, DC. As guest artist of the Chiang Ching Dance Co. 1978, he starred in the dance drama " Lo" at Riverside Dance Festival and the Third Anniversary Hong Kong Festival. He is a member of the Chinese Opera Association of New York and Chinese Opera Association of Washington, DC. Both groups stage more than four productions annually. Continuing his education he attended the New School for Social Research studying drama production and dance and drama at New York University. He received his MFA in Theatre 1982 from New York University. 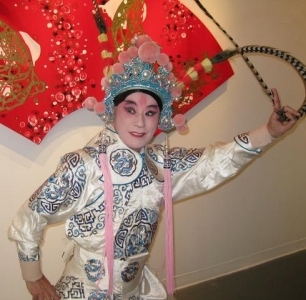 In addition to his career as a professional performer, he joined CAAC in 1975 and started to promote Chinese folk arts. As director of CAAC he brought Chinese performing arts to different venues throughout the city and the country, places as small and local as the Columbus Park in Chinatown or as big and famous as Lincoln Center, Kennedy Center and Carnegie Hall. Every year, he produces and presents more than several dozens of events, most notable is the CAAC performing season which features traditional Chinese performing arts. He also presents larch scale events including first class theater troupes from China, Taiwan and Hong Kong performing traditional Chinese theater, modern experimental theater, dance performances, as well as Western classical music concerts. He continues to widen and deepen his knowledge of Chinese arts and hopes to bring them to more communities. He served as National Endowment for the Arts Expansion Arts panel 1984-87, and was one of the founders of the Lincoln Center Out-of-Door Program. He has won Manhattan Borough President Awards and National Arts Awards several times; and was a coordinator of Manhattan Community Arts Awards and served on the panel of NYC Mayor Rudolph Giuliani’s Culture and Entertainment Committee. Alan Chow is the author of “30 Years Arts of Alan Chow” published by Chinese American Arts Council in 2008. Year of the Rabbit: A Chinese New Year Celebration! 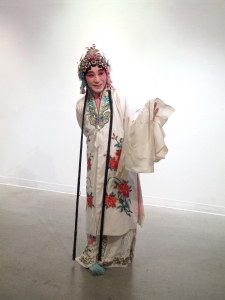 2015 Presented "Celebrating Chines New Year of the Sheep" at Chinatown Community Theater. Co-Produced "An Afternoon of Taiwanese Campus Folk Songs and Chinese Theater on Broadway"
2014 Chinese Opera: Song Jiang Murder - WuLong Mansion, a duo performance at Flushing Town Hall. 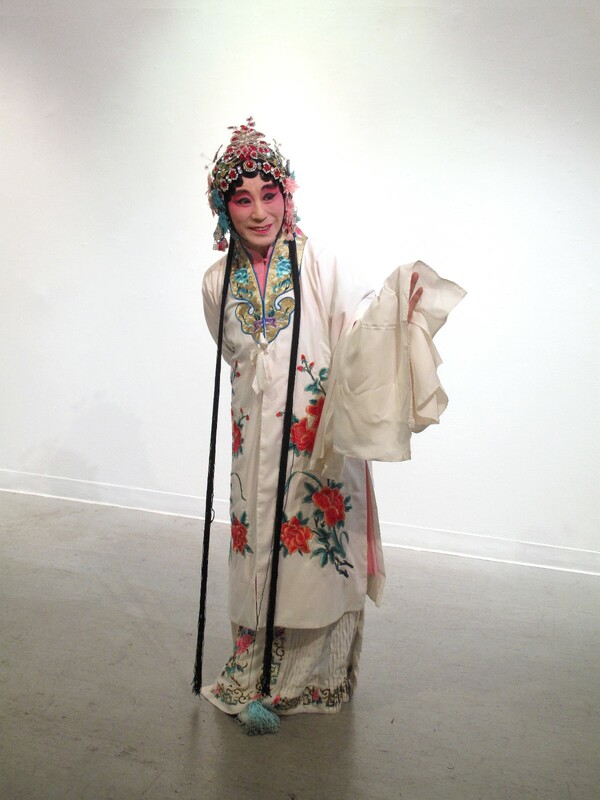 2013 Performed Chinese Opera "Iron Bow Romance" at Lincoln Center Out of Door festival. 2008 Host of "One World, One Dream", a New York concert to promote 2008 Beijing Summer Olympic.